SMILE IS WHAT ENCOURAGES US TO overcome its challenges! Week 9, Activity 1 - Anisha's Birthday Surprise! Hello my readers! Today, I am going to tell you about a surprise b'day party I planned, and what a panic it was! And as you can see, the photo below is a b'day cake. But it is not the real cake though, because the real cake had chocolates instead of cherries. But it is very similar, except for the cherry part that is. It is just that I was so panicked and excited, I totally forgot about taking pictures! Although my mom had taken a few photos, I am not allowed to upload them. I hope you are imaginative, because my post is very long and you have a lot to imagine! ​ It was Monday, 20th of April. I was excited like a toddler who was going to go to Disney land! Well, maybe even more than that. It was the day, when I planned to give my best friend a surprise birthday party! I was so happy that I could just scream! I ordered a yummy looking cake, bought some gifts, and started cleaning the house. I was very mad at my friends because they didn't come on time. But luckily, my friend Karah and her sister Karyenne came to help me after a few minutes. We swept the living room and arranged the tables and chairs. Can you guess where all the things such as toys and books went? All the things were thrown in to my room! So my room was the official garbage bin! But anyway, I didn't care; instead, there were many other things to care about. Around 3.30 p.m, Ranesha, Avishi, Arya, Sasha, Ella, and Renaya arrived. I said, "Why are you so late? Were you stuck in a traffic jam or something?" I said it in my mind, so no one heard it, except me. But I was glad because they came at last. As soon as they arrived, we rushed to 7 eleven and Lawson to buy some snacks and beverages. I bought 13 or 14 ice cream cups according to my list of the number of people and their favorite flavor, Renaya bought a sprite bottle, Ranesha bought some chips, and Karah and Karyenne bought a coke bottle, cups, plates, and spoons. Ella and Sasha brought some muffins, and Arya brought Malee apple juice and orange juice. Well for Avishi, she gave me some money to help me buy the ice cream cups. So altogether there were chips, coke, sprite, juice, muffins, ice cream, and a big yummy cake! What a marvelous feast! We had everything we could think of. Well, maybe not everything, because we didn't have pizza. We were done with shopping, but now we had to plan the treasure hunt! And there was less time left! I panicked so much that I yelled at everyone! I didn't mean to do it, but I couldn't stop thinking that my best friend would come any minute! After 15 to 20 minutes, we were done with preparing the clues. Next, we hid them along with the gifts, so that each time she finds a new clue, she will get a present! So we were all set. Everything was perfectly ready, just as I wanted. No matter how many minutes we waited, but she did not come. Which is why me and Renaya went to get her. We asked her if she was coming to play or not. And she said, "I was actually going to come, and you also came!" She came downstairs with her brother, and we walked back to my house. So there we were, standing in front of the door. As soon as she opened the door of the living room, we all shouted "Happy Birthday Anisha!" I named her as the queen of the day. But Renaya said, "Her birthday was yesterday, right? So she is actually the queen of yesterday!" Treasure hunt was successfully over. Now it was time for the big feast! Some were munching on the chips and muffins, while some others were enjoying the beverages. It seemed like everyone liked soft drinks more than juice, since there were plenty of juice packs left. But for some people who don't like or are allergic to soft drinks, juice was the best option they could ever think of. Next event was to cut the birthday cake! Unfortunately, I had forgotten the candles! Oh no! It was a terrible disaster! But anyway, we didn't do anything because everyone said it was okay. I can still remember how everyone stampede just because of the cake. They were like, "I want this! I want that!" It truly annoyed me so much! Why can't they have manners during a party? But anyway, that is a normal thing that happens during parties. So I told myself not to care about that. Well, anyone can go wild if they see a cake with chocolates, oreos, and tasty cream, right? It tasted awesome! Actually, that was the best cake I've ever tasted! After the cake, we ate ice cream. But just as I distributed the ice cream cups, I realized something weird! How can there be 2 cups left? Yes, I bought 1 extra, but whose one is the other one? That is when I checked my guests list. We had been very busy, and we had completely forgotten Tanishka! "But I reminded her to come during the lunch break! So what could have happened?" I thought. "Anyway, if she didn't come, that is not my fault, is it?" I asked myself. Soon after, I completely forgot about that. After the party, we all went outside and played. It was a great day, which I can never forget. Everyone seemed to be very happy, even Anisha's brother Abhishek! But Anisha didn't seem that much happy or surprised! That is a mystery which I am still struggling to solve. Who could have betrayed me and told her? Or did she suspect our behavior during the last week? Or, is it the way how she expresses her happiness? What do you think? How could that have happened? Week 8 - Commenting Games! Hello everyone! Today, I am going to tell you whose post I commented on for this week and why. Wait!!! Don't leave! It is not going to be boring! Please stay! If you want to visit that post, just click on the images below the description. Game 1 : Count out 3! Sarah wrote a long acoustic poem about Mrs. Riding, who is the school librarian as well as her blogging teacher. She has used many adjectives to describe Mrs. Riding, and whoever reads it will be able to imagine her, which proves that she is very creative. So in my comment, I complimented about her writing skills, and I also wrote a poem about her along with it. Gabriella wrote a post about different types of pets. In her post, she has mentioned many details such as the weight, length, physical characteristics, life span, food preferences, and different breeds. My favorite part of her post is about teacup pig. She described it very nicely that I wanted to buy one! In my comment, I mentioned why I liked her post very much, and I suggested her to add a few pictures. I also didn't forget to ask her what is her favorite pet, and I asked her to recommend a suitable pet for me. Madison wrote a long post about problems that occur because of algal blooms. Her post is really informative and very well written. For a topic like algal blooms' affects, it requires a lot of research. And not everyone can write such an informative post like her. So in my comment, I mentioned what a good writer she is, and I told what I liked about the post. I also asked her how long did it take her, since the post was very long. Game 2 : Great posts from Flipboard! So there were 5 poems in this post, each one of them was about a specific animal. Some of them were long, and some of them were short. But they all shared one thing in common, which is creativity. So in my comment, I complimented on their poetry writing skills, and requested them to visit my blog as well. Summer, as always, mesmerizes me with her amazing posts. This time, she wrote a sonnet! As we all know, a sonnet consists of 14 lines. But it is hard to write a sonnet which rhymes, and makes sense at the same time! Her sonnet was about an apple house, and as it goes, she describes her confusion. As usual, I added some stars and a wonder. So in this post, Isabelle has included 20 facts about herself. But my favorite part of her post is the top part, where she introduces the post. It is really creative! When I was reading that part, I felt like she is talking to me directly! If you also want to see it, just look at the image below. So I told that how much and why I liked her post, and I mentioned some of the facts which we both have in common. ​Thank you very much for not leaving! By the way, how was it? Did you find them interesting as well? If you can, please leave a comment below! I truly love comments!!! What are digital footprints and digital dossiers? Well, if you look at the words, you might tell that they are related to a person's identity, and that's right! But do you know anything else about them? If you don't know, don't worry! Because I am Thanumi, the great detective, and I am going to help you find out! So below are the clues that I found during my deep examination. 1. What is digital footprint? The traces of a particular person's identity which is left by his/her online activities. Online Information of a person's identity which is collected and continued by others and him/her before the birth and even after death. So basically, digital footprint is just a tiny part of digital dossier. So now you know something about these two things. Both things are a bit dangerous because anybody can see them! Hopefully, you will be careful from now on. Internet is really good, but if you have a bad digital footprint or a bad digital dossier, you are in a huge risk. Well, I hope you got your answer by now. By the way, how about leaving a comment to prove that you understood everything? Week 5 - Usage of Internet Should be Limited! Should internet usage be limited? Should kids have the permission to use Internet as long as they want to? Well, if I consider my classmates' opinions, 15 out of 17 kids say that we must have an unlimited internet access. They also say that internet is always necessary for most of the things. But at least one of my classmates agrees with me and says that yes, maybe our usage of the internet should be limited. Well, I am not telling that we must not use internet, but we should not limit ourselves only for sitting down and using it. Some people think that internet is their life, and without using it for even a few minutes they won’t survive. Yes, internet is very useful, and below are some advantages of using internet. Well, not only advantages, there are also some disadvantages of using internet all the time. We don't spend our time with our family members and friends, but instead, in a world of internet. Children get addicted to it and don't focus on studies. Many people watch movies or listen to music instead of doing any outdoor sports, which will straightly lead them to obesity. Lots of money gets wasted on capital cost and recurring cost. Security threat - Privacy gets revealed, you might get blackmailed and cyber bullied, and other people can create viruses that harm your valuable files/documents. Eyesight gets bad as we use computers too much. People lose their interest about literature because of internet. Children get abused by bad advertisements and etc. So, after considering all those reasons, I strictly say that the usage of internet should be limited. In fact, I think that internet is just like drugs. Once you get the habit of using it, it is very hard to get you to stop using it. So, as our parents always say, internet addiction is more like an incurable disease. So better be careful everyone! Try your best not to get this disease! Well, I am a person with a lot of experiences about internet addiction. When I start watching something, I cannot stop myself at all! I keep on thinking like just one more, maybe only this one, and so on. So because of that, I won't stop watching until it is bed time, which leaves me no time for my homework. ​ But these days, I try my best to play outside, and interact with my friends. Not only that, I also read books in my free time. Trust me, playing and reading are much better than using internet! You will be having fun in no time! Once again, I am not telling you to stop using the internet, but please, consider spending your valuable time on other sorts of things as well. Try making yourself a schedule of using internet and doing other things. If you follow my instructions, I am sure you will understand what I mean. What is the best application to make an animated video? Is it Animaker, or Powtoon? This is a question where each and every video maker gets stuck. I have the experience of using both applications, which is why I can give you some advice to help you choose the best. There are many similarities as well as differences between the two. They both have great animated characters, objects, and other background effects. But unfortunately, some of their characters, objects etc. are not available in the free version, which is why you have to upgrade the account. You can add your own images, or your own music! You have to manage time, in order to make different things appear and disappear. (It also takes a long time to manage it.) If you are a fast learner, both applications are very easy to get used to. (They are not very complex like other video makers, once you get used to them you can make videos in minutes!) Both of the applications are constantly adding cool new features. You can export your video to anywhere, including YouTube, email etc. Well, those were some similarities of Powtoon and Animaker. But there are also many differences between them. For free version, users can only create a video of 2 minutes in Animaker, and a 5 minutes video in Powtoon. The maximum duration time for one slide in Animaker is 15 seconds, while maximum in Powtoon is 10 seconds. 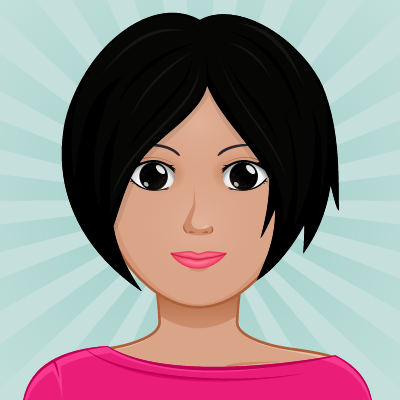 Powtoon has more free characters compared to Animaker, but in Animaker, there are a lot of actions and expressions. Animaker has more props compared to Powtoon. In Animaker, we can make 2D, infographic, or a handcraft video, while Powtoon has a lot of layouts instead of modes. Until now, Animaker has 8 tutorials, and Powtoon has 6. Now you know something about both video makers. Both Animaker and Powtoon have many similarities as well as differences which makes it hard to choose one of these applications. That’s why I recommend you use Biteable. Biteable is a time saving and a fun application. It has many cute animations, which have a limited time and text option. (All you have to do is choose the suitable animation for your text.) You can type more than 50 letters in one slide. But since you don't have to manage time, it saves a lot of time. Even though there are many images, music and different effects available, it still allows you add your own images and music. Not only it is simple and fast, but it is also fun! Just because I like Biteable doesn't mean that I don't like Powtoon and Animaker. You can actually use all three for different purposes. What do you think? Which is better, Powtoon, Animaker, or Bitable? Do you have any other suggestions? If you want to know further more, why don't you visit these links? Week 5 - A Simple Decoration Just For You! 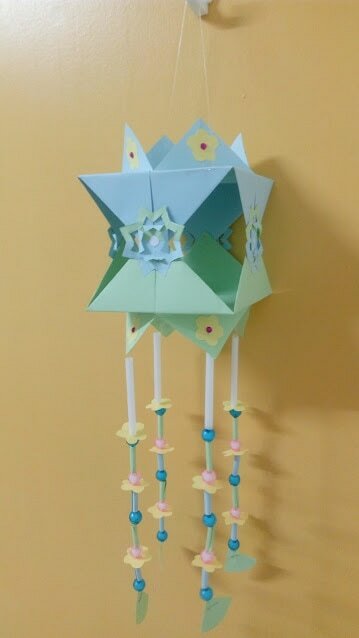 How to make a simple paper lantern? This image is by me. If you cannot understand my instructions below, please make sure to have a look at my slideshow at the end. Do you want to decorate your house? If you do, make a simple lantern! It is very easy to make, and it will not cost you that much money! If you are a fast person, you might make it in less than an hour! You will need 5 -6 A4 size colored/white papers, yarn/thread, tape, stapler, pair of scissors, and a glue stick. You could also use other materials like stickers and beads, but they are optional. Most importantly, you need to have secret ingredients; patience and creativity! First, make sure that you have gathered all the materials near you. Then, take one paper and cut the biggest possible square from the paper. In this process, a vertex of the paper should meet the edge of the paper. If you did that properly, your paper must look like a trapezoid. Next, fold the other rectangular part and cut it, but do not throw it! Now you should have a folded square and a rectangular piece. Keep the rectangle aside, and open the folded square. Fold the square into four, and open again. Next, fold each vertex to the center point of the square. After that, flip it over and fold the vertices to the center. Do the same thing to another paper. Then, open the last four folds of each square and staple them together. Now you must have draft of your project. It may look very bad at the beginning, but I assure you will have a nice result at the end. Cut 4 paper designs by using 4 circles, and stick them to cover the stapler pins. Afterwards, make 20 tiny flowers and 16 straws from the papers which are left. Then, put stickers in the middle of 8 flowers, and stick them on the triangles which are at the top and the bottom. Next, make holes on other flowers by using a sharp object. After that, attach a half circle paper at the end of yarn to make sure that those things don't fall. Later on, pass the flowers, straws and beads through the yarn in any order you like. Then, neatly tape it to the lantern by using tape. Now, put it gently on the table. Lastly, tape another piece of yarn on two opposite corners on the top. There you go; your project is officially done! I hope you had fun! Oh, did I mention that I love my commentators? Please kindly leave a comment if you have any stars, wishes or wonders! Week 5, Activity 8 - My Brand New Translator Widget! Are you excited to hear about my new translator widget? Well, it gives you the opportunity to translate my blog into even more than 100 languages! Isn't it cool? You just have to click on the triangle which points down, and the languages will pop up! Oh right! I forgot to tell you one thing! Don't get tricked by the translator widget below. It is just an image of the real one. The real translator widget is located a bit below my avatar image, which is in my sidebar. Now you are all set to go ahead and translate. It might not translate every single thing correctly, but it is still possible to understand. Go ahead bloggers, now you are able to see my blog in your own language! Hello again! Today, I am going to tell you about my little family. First of all, I live with my parents and my grandmother and I have a little sister. You might be wondering why I did not mention my grandfather, right? Well, that is because my grandfather died before I was born. However, my grandmother always says that I have the same type of hair which my grandfather had! How is that possible? Come to think of it, I have a feeling that one of my father's recessive trait passed on to me. What do you think? When I look at my grandfather's pictures, his hair really seemed a bit similar to me! I also have a lot of hair which does not behave the way I want it to be! Even though my hair is short, it is very fluffy like a Persian cat or something like that. Wait! Am I going out of my topic? Oh I am! Let me stop this whole thing about hair and concentrate on my topic. Even though my paternal grandfather is dead, luckily, I still have my both maternal grandparents. We usually visit them every Friday, and we also get a chance of tasting my grandmother's tasty food. She is an excellent cook, and also a very calm person. On the other hand, my grandfather is still taking care of his bookstore. My mother also has a brother, who has two sons (my cousins). Well, they both are younger than me, yet they are very talkative. Unfortunately, we don't see each other that often, but if we gather together, the whole house gets very noisy, as if we are in a market! Let me move back to my parents, my sister, and my other grandmother. Both my parents are always busy with their work, and they usually arrive home late. Well, I don't blame them, but why do they really like to work? I simply have no idea. But luckily, after coming to Thailand, they are a bit relaxed and they spend a lot of time with us. If I have to describe my grandmother, she is very jolly, but gets angry very easily. The funniest thing is that in the afternoon, we both argue for the TV. She wants to watch teledramas, while I want to watch cartoons. Most of the time I win! Yay! :) No matter how much we argue, I know she loves me and my sister. Speaking of my sister, she is very naughty! She is very good at dancing, drawing, as well as annoying others! The only annoying thing about her is, that I get scolded because of her! Sometimes I hate her, but most of the time I love her! I guess that is the relationship between siblings. Oh, I almost forgot! My aunt! She is my father's sister, and my favorite aunt of all times. Well, to me, she is not only my aunt, but also my best friend. She was the one who taught me everything about art, and made me a book lover! Before, we both used to sleep together, color together, and do many things together. But now that she is married, she is living in her own house. Luckily, she doesn't live far away, which is why she visits us most of the time. She loves cats, tries different food recipes, and also reads books and watches movies. She also has her own cat, and its name is Mika. Well, that is all for now. Hope you enjoyed reading my post! Feel free to ask me anything in the commenting section! By the way, don't forget to tell me a bit about your family as well! Week 4 : Let's Conserve Earth and Its Wildlife! Click on any image to visit the site! As we all know, Earth is the only planet in our solar system that has all the favorable conditions of life. We are really lucky to live in a planet like that, which is also home to many different species. So it is our responsibility to protect it, instead of polluting it and destroying it. Usually, we, human beings are very selfish that we don't think about the wildlife on Earth, and we become the reason for its extinction. Every single plant and animal on Earth has an equal right to live as much as we do. So as the most intelligent living beings on Earth, we are responsible to protect it. Now it is time to think again, and work together to correct our mistakes. Scientists estimate that 150-200 species of plants, insects, birds, and mammals go extinct every day, which means that 50000-70000 species go extinct each year. Who knows? Maybe even more extinction might happen! As the human population is growing, animals and plants are rapidly going extinct! We all know that the global warming is one of the main reasons for all these extinctions. Well, global warming is happening because of the overproduction of greenhouse gases, which allows the Earth to absorb more heat. The increased heat level alters or eliminates a species' habitat, which lets it go extinct. But aren't we the ones who are responsible for that? 99% of the threatened species are at risk from human activities. Deforestation - The carbon dioxide level will not be controlled because of the absence of plants to absorb them. Not only that, the birds that live on trees will lose their habitat and might go extinct. The smoke emissions from vehicles and factories - More greenhouse gases will be produced. The air is polluted, and species' habitats are eliminated. Eliminating garbage on water bodies - The water will be dirty and the marine creatures might go extinct. Usage of chemicals and fertilizers - More greenhouse gases are produced. The toxic environment becomes the cause for the extinction of flora and fauna. Eating meat - If you do, it will encourage people to kill more animals, and there will be none of them in the future! The burning of fossil fuels - It will pollute the air and produce more greenhouse gases. One species' extinction can affect the other species as well, (you will understand if you look at the food web). So it is very important to protect the balance of the living beings. One species is the bait of another species. And the balance of the number of species is very well maintained by nature. If one species goes extinct, the bait of that species will be overproduced. So, the number of species will be unbalanced. Not only that, if a species only eats one type of species and if that goes extinct, the other species will also go extinct because of starvation. To be clear, let me give one example. A special group of rabbits only eats Cordoba carrots, and suddenly the Cordoba carrots goes extinct. So, the rabbits will also go extinct because of starvation. So as I mentioned before, as the most intelligent beings on Earth, it is our responsibility to protect its wildlife. Try to imagine the earth without any plants and animals. Will we survive there? That would be dreadful! There are no plants, but ruined buildings. There will be no animals, but their skeletons. The whole earth will be a one single desert. Because of the overproduced greenhouse gases, our earth will be a very hot place. Can any one of us survive there? No food, no water, simply nothing! Of course, the whole human species will go extinct! So, that proves that the humans can't survive without animals and plants. What is the use of being a rich person who owns big house if there are no trees and animals? The future is unpredictable, but if we don't protect the wildlife on Earth, our terrible nightmare will become true, the humans will go extinct! But this is not the time to give up, because we are still not that late. We could still make a wonderful future for our planet Earth. As we always say, teamwork makes the dream work! We, AITIS students are not grownups yet, but we could still do small things that make the big things happen. Here are some actions that we take in school. We organize cleaning day at AITIS. We organize art competitions with the theme of saving environment. We recycle paper in our classrooms. We create art and crafts with used items in after school activities or art classes. We engage in after school activities like Green Club. We prepare Class/Drama presentations on conservation of environment. We have lately started saving water in Songkran festival. We take care of endangered animal species in Thailand like Monitor Lizard by not disturbing them in AIT. So, what can you do to protect the Earth and its wildlife? Let me know in the commenting section! Week 3, Activity 5 - A Slideshow About My Interests! Hello there! Are you a book lover? If you are, you might be familiar with these authors and their books. Do you know any of these authors who are shown below? Have you read any of their books? Let me know in the commenting section! If you want to visit the image site, just click on the image that you want. If it weren't for mushrooms, what will make vegetarian pizza very tasty? Feel welcome to make your own poems as well! Good luck! Week 3, Activity 9 - My Jigsaw! Hi again! Are you up for a challenge? If so, you have visited the right place. Today's mission will be to complete the puzzle below in less than 1 minute and 30 seconds. Don't worry, there are many things that will help you during this mission. First, make sure to click the arrange option, which will make it easier to find the pieces. If you have any difficulties in matching the pieces, click on the ghost button. It will show you a hidden shadow of the picture. Mainly, make sure that you have 5 gallons of patience, and one spoon of common sense! If you don't have those, you might rush and ruin the whole thing, just like I did one time! But now I can do it very quickly, because I learned to be more patient. However, did you see? My avatar is only broken into 30 pieces, so how hard can it be? Good luck my friend! Hope you will get a good result! ​​Well, how was it? Did you have fun? By the way, how much time did you take? Don't forget to answer my questions in the commenting section! Oh yes! Do not forget to make your own jigsaw puzzle and give me the link as well! Week 3, Activity 4 - My Picture Sentence! Can you see the slideshow below? That is my picture sentence! I bet you cannot guess it! (Maybe?) However, please try to guess it and tell me what you think it is! Good luck! Click on any image to visit the image site! Do you know how to comment on my blog? ​If not, no need to worry. Because I am going to teach you how to do it. There are many ways to comment on my blog, but I will just teach you the easiest way. First, choose the post that you want to comment on. Then, click on the title of the post. After you do that, scroll down until you find a form called "leave a reply." Next, fill each detail in the each respective section. Do you have a trouble of visiting my blog again and seeing the reply to your comment? Don't worry, there is an easy way. Just click on the box beside 'notify me of new comments to this post by email.' You will get my reply easily through gmail! Then, simply submit it. There you go, you learned everything about how to comment on my blog! This is a short video that I made about commenting. Hope you will enjoy! And I will be really happy if you could leave a comment for me as well! How to write a good comment... on Biteable. Click on any image to go to the image site! ​ As some of you might know, I am from a small country called Sri Lanka. What did you say? You have never heard or seen my country on world map? Oh! In that case, please just look below India. That is right! It does look a bit similar to a tear, which is why, it is called the "Tear of the Indian Ocean." Not only that, it is also called the "Pearl of the Indian Ocean," and "The Nation of Smiling People." Sri Lanka is a wonderful country. It is a floating kingdom, which is surrounded by ocean on all sides. Speaking of kingdom, you might think that we have a king. If you think so, you are wrong. We have a great president, who also cares about poor people as well as wealthy people. His name is Maithripala Sirisena, who became the president in year 2015. Sri Lanka is a semi-presidential representative democratic republic and has 9 provinces, and 25 districts. In Sri Lanka, we can experience hot climate northern areas, cold climate in the central mountainous areas, and a nice, perfect climate near the beaches. The different climate zones lead to a high biodiversity. Various types of birds, and butterflies, and other types of creatures can be seen very often. Aside from that, Sri Lanka is also home to many endangered plants and animals like Asian Elephants and different types of orchids. Not only fauna, but also flora is rich in my country, which is why we get to eat a lot of vegetables. You might be a bit disappointed by seeing the public environment since pollution is very common in many areas. However, in nice places like Horton Plains National Park, Royal Botanical Gardens in Peradeniya, Hakgala Botanical Garden, Sigiriya, and Gregory Lake, I am sure that you will be happy. Not only that, I am sure you will be delighted with our tasty food! They just taste so awesome! Kottu, king coconut, curd with kithul treacle, and how can I ever forget the treats in our Sinhalese and Tamil New Year food table! Not only those, we Sri Lankans also eat some Indian food. Some popular ones are Thosai (dosa), pani walalu (jalebi), and wade (vada). Just talking about those makes me feel hungry! In brief, I love my country and I am proud of being a citizen of it. Please do not forget to have a look at my 'Proud Sri Lankan" post if you want to know more about my country! And don't forget to leave a comment! It is the time to nominate my favorite blog, and the moment I feared the most. ​You might be thinking, why am I scared to reveal my feelings? Don't I have the freedom to express them? Throughout the adventurous journey of blogging which was created by Ms. W, I have made various friends from many different nations. Just as I told you before in my previous posts, I love making new friends. But I have a fear that I might lose them by my decision on my favorite blog. Will I hurt their feelings? I know that there are many talented bloggers who are participating in the challenge. But my favorite blog must be filled with many interesting posts and I must have a great connection with that person. So after considering these two things, I was able to make my decision a bit easier. Even so, I still wish that I was granted to choose 4 great blogs, because I do have 4 great friends who are very close to my heart as if they are my sisters. I really mean it, because I spent days to make my decision, since they are really important and friendly to me. Choosing one of them is not very easy! They are, Summer, Dakota, Lucie, and Danika. Let me tell you just a little bit more about my 4 special friends. If I am not mistaken, Summer is a 4th grader from Pennsylvania, while Dakota is a 5th grader from Australia. And Lucie is a 9th grader from Belgium, while Danika is a 6th grader, just like me. As I told you before, the student blogging challenge was a great help to meet new friends, no matter whatever their age and nationality is. That is how I met all of you, my dear friends! I was talking about my special friends right? Well, all my 4 special friends are very amazing and have their own unique way of writing. Many of their posts are featured in Flipboard, which proves that they are great bloggers. The most important thing that I like about them is, they comment back on whoever leaves a comment with a blog URL. Believe me, their comments are always great! I think you can understand why it is hard for me to choose one of them. But anyways, I have to choose one right? If I really have to, I would choose Summer. I hope I didn't hurt your feelings, my other three friends! Click on an image to go to the image site. But if the image is not linked to anywhere, those images are mine. Hello my Dear Adventurers! Have you ever visited a waterfall? Some of you might find it boring, while others might think it is so interesting. Even I did not like waterfalls before. But it was all until one day, I saw the most beautiful place on Earth, a waterfall. Turquoise water, its icy coldness, the way it was falling, it took me to a magical world of imagination. Such a place is always covered with trees, and everywhere you look, you will see an amazing sight. The breeze will pass by, tiny droplets of water will drizzle on you, while filling your heart with delight. The waterfall I visited is Kuang si, located near Luang Prabang, Laos. Don’t believe me? Yes, in Laos it is, the most beautiful place on Earth. Kuang si is the home to many different species, the empire of beautiful nature. There are many ways to get there, but I used a tuk tuk. Do you know the vehicle with three wheels? That is a tuk tuk. For me, it is the best way because it shakes on bumpy grounds and bolts through the wind. It is really fun! Shaking and bolting through the cold wind! It is also the cheapest way to get there and takes about one hour to reach there, since it is about 30 kilometers from the town. But I recommend you to take another transportation if you are not comfortable with bumpy vehicles. And if you are visiting this place, make sure you have a lot of time to spend! It is a magical world with many wonders, so you might need a lot of time! Compared to many other countries, Laos citizens smile a lot. I wonder why they are not famous for smiling! For Sri Lanka and Thailand, they are well known for smiling. So why not Laos? Oh yes! I almost forgot! The currency of Laos is Laotian Kip, but in my opinion, paying in Dollars or Thai Baht feels like saving your money! For one person, it equals 20000 kip for the entrance fee, which is equal to 2.44 US dollars. Cheaper than you thought, right? What was I talking about? Oh yes, I was talking about Kuang Si Falls! Before you go to Kuang Si Falls, please ensure that you have a good camera. Or else you will easily get into trouble of getting great photos. If not, even though the place is beautiful, your photos will not look great! On your way to the waterfall, make sure you also stop by the Kuang Si Bear Rescue Center and spend some time to differentiate Noy, Deng, and others among their friends. It will be really fun! For the people who love to swim, I think Kuang Si is a great place, because it is a cascading waterfall which consists of many stages. And almost everywhere you can swim! Imagine yourself floating on top of beautiful turquoise water, which shines when the sun is present. Imagine yourself shining like a star in the glory of the sun! Wow! Well, for swimmers who are not that experienced for swimming, it can be a bit dangerous, because the water gets deeper as you go further. So if you are not that good at swimming, please be careful! Do not let the floating water carry you away! You must also be careful when you are near water because the ground can be very slippery and cause accidents. Also beware of the rocks when you are inside the water, or else you will hurt yourself. And you might want to bring something hot to drink after you swim, because the water is freezing cold and I shivered a lot! A hot cocoa or a hot cup of tea will be godlike at an instance like that! Or else you will still feel like you are surrounded by millions of ice cubes! Are you a tall person? Well, you will feel yourself very tiny compared to the giant trees. There are also some bridges on the way, and you will really enjoy crossing them, just like I did. Kuang Si Falls are really long and beautiful! As you go through, you will see some old tree trunks which are laid on the ground. Well, that is the rule of nature, right? 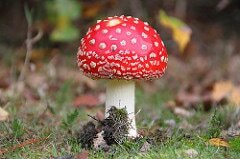 Even though they are dead, they can still be useful by being great compost for the next generation of plants. Not only that, they also increase the natural beauty by adding different colors to their surroundings. Did I tell you anything about a fish spa? Oh sorry, I haven’t. Well, if you stand still in the water for few minutes, you will feel ticklish. Do not be scared, it is just the little fish around you. How can I ever forget that wonderful experience? I can still feel the cold wind passing by. I can still hear the beautiful song of the birds, like they were sung for me only. The water seemed to be a floating turquoise satin which was threaded with silver. Some plants seemed to be resting on the nature's bed. The mist made me feel like I am lost, which created a great adventure. At some places, the water was pounding on to rocks, which was trying to match to my heartbeat. For one second or two, I wanted to be a fully bloomed butterfly, to fly around and drink some tasty nectar from the flowers. But then, everything would look enormous and I would be surrounded by predators! Then I was happy for being a human. Well, if you are lucky you will be able to see beautiful butterflies near the falls. I saw a tiny white one! I was lucky, aren't I? I really feel like I belong there, under the glory of the sun, along with the wonders of nature. I think I don't need to tell you more about this place, because you must really go there and have the wonderful experience by yourself. Do you have any questions or tips? Please feel free to share with me in the commenting section! Week 8 : Being In A Community! What comes to your mind when you hear the word community? You must be thinking it is something where lot of people gather together, and do many things. Yes, to some extent it is true but a community can start from something as small as a family until something as big as a global group. 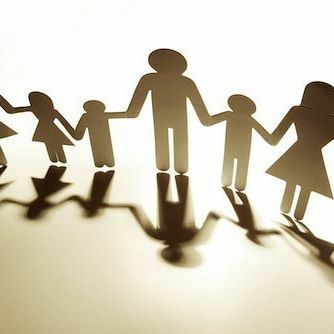 ​ You might be thinking, how can a family become an example of a community? Believe me! A family is an example of a community! For an example, in my family, I am the eldest child. So it is my responsibility to take care of my sister and become a role model. We help each other, and we take care of each other. In my family, we all have different roles and responsibilities. So it is an example of a community! Last year, I was part of the scout club here at my school. I was one of the group leaders! Yay! I met some students who I never knew before, which means, I made many new friends, which I love to do. As member of scout club I learned many things like the scout law and the promise and how to make different knots, sometimes I got mixed up though. I can also never forget the team building activities which were hard but fun at the same time. But on the downside, there were some people in my group who didn’t follow my instructions very well, which made me feel sad, but overall it was a valuable experience! Next on the list is my school, the most important community in this whole world! The place where we can have fun and learn many new things! Friendly students and teachers, where you get help from everyone whenever you need. If you come to my school, you will be surrounded by the boundary of safety and care. You will also meet groups like Student Council members and Peace Makers, who will listen to your problems and help you. You will also get to know about special groups like singers’ group called Glee Club. I feel really proud to tell you that I am part of that community also. While singing, everyone' s support is needed. Everyone must try their best. 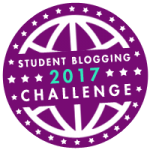 And lastly, I am participating in Student Blogging Challenge, which is a global community where we get to know about students from other countries, learn new things from them and get to comment on them. We also showcase our creativity and get a chance to have discussions about world problems through challenge activities like BAD (Blog Action Day). I think that is it. If you have any questions, please tell me in the commenting section! Bye for now! Week 7 : Let's Talk School - AITIS Joy of Reading Program! 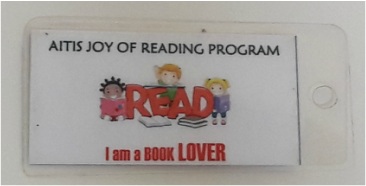 ​ Well you might be wondering, what is this Joy of Reading Program? Don't worry! I am going to tell you what it is! Joy of Reading Program or what I simply call JOR, runs twice a semester. You have to choose a book or more, and complete 3 book lover tasks to get one JOR tag. If you want to earn a certificate, you must do 15 tasks, which is equal to doing tasks for 5 tags. Click here to know more about it! Well, I think you got the idea. Don't forget to read my JOR tasks that I recently completed for one JOR tag. If you still have any confusions, please tell me anything in the commenting section! An image of a JOR tag! Week 7- Let's Talk School - Our Unique Class Names! Hello Everyone! Today, I am going to tell you something unique about our school. Guess what? It is....the class names! It is a bit not interesting if we only call by the grade. Which is why, each and every class in my school has a specific name. I interviewed my school teachers to know what are the reasons for them to choose different class names. So below, is what the teachers told me. "Well, pandas are really cute and kind of a baby type. They are also playful. So, since the nursery kids are little, cute and playful, that is the reason why I named them as Playful Pandas." "Teddy bear is a favorite soft toy among the children. It is not exclusive for any gender. Both little boys and girls like it. They use it when they go to sleep, or when they are alone. They are close to it, and when they hug it, it comforts them. The kids who are around 3 years old, they love to cuddle. Specially it can affect the new comers to the school. I want them to feel the school as their home. So when I hug them, they are really happy and they start to feel better and comfortable. So that is why I named them Cuddly Bears." "As you know in the life cycle of caterpillars, they are very young to become butterflies and fly in the sky. So in Prek1, my students are still in the process of growing up. But as soon as they leave my class, they will become fully bloomed beautiful butterflies. So I say that children are born with wings and teachers are the ones to help them fly." "Ducklings are always happy, cute and smart, and they help each other to reach their goals. In my classroom, I am like their mother duck and they follow whatever I say and do. So they are my cute little ducklings." "I really like the way Dolphins move. In my class, my students are so dynamic and can't stay still, just like the dolphins. That is why they are called Dynamic Dolphins." Grade 1 - Soaring Eagles "Since Grade 1 is the first elementary class, they need a good take off to go to higher grades. An eagle is a big bird who is brave, independent and strong. So I named them Soaring Eagles." Grade 2 - Kestrels "We are birds and we can fly high. We can reach whatever goal we want to. So we are Grade 2 Kestrels." "My students always go blazing around and leave a trail of success. So they are Trail Blazers." "Owls represent the love for learning and books. I really want my students to be smart and intelligent, which means bright. Since my students are outstanding wonderful learners, I call them Bright Owls." "Unicorn is a mythical animal and it represents good luck. For my students, I wish them good luck and I want them to be different and unique from others. I also want them to carry a good message as they grow up. So I named them Unique Unicorns." I - Inquisitive C - Creative So they are, Fantastic! A voyager is a person who travels. That is why some spaceships are also named as Voyager because spaceships travel in space. And so are grade 5 students who travel through the world of knowledge. This is the class that I am learning now. As the senior most class, we will be leaving the school very soon. So before leaving, we are learning and exploring many things to train ourselves. We always have to become role models for the people around us. We are wanderers, and that is why we are called Grade 6 Explorers! Did you like my post? Tell me which class name you liked the best? Do you have a class name? Do you know the meaning of it? Please tell me anything in the commenting section! Hi Again! This time, I made a video which includes some comment starters and my feelings about commenting. Hope you will enjoy! Hello everyone! Today, I am going to tell you who I commented on for this week and why I commented on them. Please click the colored words to visit each post, or the blog. Game 1 : As mentioned in Ms. W's post, I visited some blogs from student/class lists and commented on some posts. Let me take my comment number one as an example. Please have a look at the order of the each colored word. As you can see, the first word is Global Explorers. Next one is Ella and the last colored one is Danika. It means that I went to Global Explorers' blog first, which is count one, and from there I chose Ella's blog, which is count two, and I found Danika's blog from Ella's blogroll, count three. For my last step, which is about selecting and commenting in one of Danika's interesting posts, I have included three links below there, because she has many posts about the same topic. I think you got the idea about what I am trying to explain. Danika's posts were about cruel circuses. In her posts, she has mentioned how she feels about elephants, who are getting hurt by circus people. She has included an email address of them and asked others to help her save the elephants. So in my comment, I mentioned that how I feel about the problem and I will do whatever I can do to help her. I especially commented on her posts because they were really inspirational and she was a role model regarding that problem. If you want to read her post about elephants, click here! If you want to watch her video about the big problem, click here! If you want to help her by sending an email to Ringling Brothers, click here! Katie's post was all about her pets, cute Guinea Pigs! I didn't know anything about Guinea Pigs before reading her post. Her post was well written in an interesting way. So in my comment, I asked her why she chose guinea pigs among other cute pets like rabbits and cats. After giving her a compliment, I asked her to recommend a suitable pet for me. This time, I commented on Ella's post because of her enjoyable singular nouns to plural nouns game. How can I not comment on something that I really enjoyed? Additionally, I got the perfect score also! So that is why I commented on that post. After giving a compliment, I asked her two questions. I asked her about the application she used to create the game, and I also asked her how did she upload it in her blog. As mentioned in Ms. W's post, I visited some posts from flipboard and commented on them. Well, in this game also, it follows the same order and the rule. First word is the blog link, and the second one is post link. This time, the post was a story about a shoemaker called Sasha and her missing dog called Soda. I commented on that post because as I read it through, I was really stuck to the story because of the writer's own unique style of writing. I don't know how, but I felt like a character of that story and I was really curious. So I think you got what I mean. When I commented on it, I mentioned which parts of the story attracted me. I also added a compliment in it. That post was all about singing, which I love to do! In the post, Jagga has described about JagArts, which is an art exhibition for all sorts of arts. As she said, this year, she sang a song called Summertime Sadness by Lana Del Ray with her friends, Jennifer and Gabby. She has mentioned about her stage fright and how she came over it. So I consider her post as an encouraging post. That is why I commented on it. In my comment, I gave her a compliment and mentioned how I am connected with it because we both have something in common, which is singing. How can I ever forget Lucie's wonderful story? It was a great combination of sadness and the happiness of freedom. It is about a girl named Ella and her dreams. I really like her imagined picture of the swing! What did you say? You have no idea about what I am talking about? You need me to tell more? Well, I am not going to tell you anymore about it, because you must really visit her blog and check it out. In my comment, I told her that she is a great writer. I also told her what I felt about the story. Well, that is all I commented during this week...... Hope you will leave a comment for me! Bye! ﻿Week 5: Free Choice - Sri Lanka or what you call Ceylon! Yes, I am very proud to be a Sri Lankan. You might haven't noticed my country on the world map since it is really small. But it exists, just below India. Wait a second! Did I just go out of the topic? Let me get back to the topic. Did you know that our country is called "The pearl of the Indian Ocean" because of its natural beauty? Sri Lanka is also called "The Tear of the Indian Ocean" because of its shape and location. And it is also known as "The nation of smiling people," because we smile a lot! Well, I am a good example of that. How can I not be proud of those beautiful names? What did you say? Is that the only reason I am proud to be a Sri Lankan? Of course not. We have a well-known female runner Susanthika Jayasinghe. She really runs as fast as wind. She won many medals for our country during Olympic Games and brought pride to our country. But our professional cricket players’ achievements can also not be forgotten. Sri Lanka registered its first ODI win against India at Manchester, England in 16 June, 1979. We also won the 1996 Cricket World Cup. We were co-champions in 2002 ICC Champions Trophy and we also became five times Asian champions in 1986, 1997, 2004, 2008 and 2014, which makes me feel so proud. Do you drink tea? Sri Lanka is renowned for its high quality tea and is the fourth biggest tea producing country globally, after China, India and Kenya. It is best known in the world market for the production of tasty, traditional tea. Our pure "Ceylon Tea" is considered as some of the finest tea produced anywhere in the world! I almost forgot that indigenous medicines are a huge part of our culture. Believe it or not, our traditional medicines can save many people's lives! No wonder, those are fully made from the resources of the nature, such as, leaves, roots, fruits etc. Very honestly, our traditional medicines can beat all the modern doctors’ medicines, and help people cure their diseases like cancer. If you ask me how, I think that is the miracle of the nature! And last but not the least, I am proud to be a citizen of an independent country. After many years of struggle, our country gained independence from Britain in February 4, 1948. ​Which country you are from? Are you proud to be a citizen of that country? I don't need so much details, just give me one reason when you comment about my post! Did you like my video? Then what are you waiting for? Please leave a comment below! Just don't be shy and give it a try! Hello! Welcome to my very own first blog! I am Thanumi, from Thailand. Click here to know more about me! You are the ones who help me.. Please visit me again!